The Scottish Rite fraternity is a part of the family of Freemasonry. It is a separate organization from the Grand Lodge system, but in order to belong to the Scottish Rite, a man must first become a Master Mason. 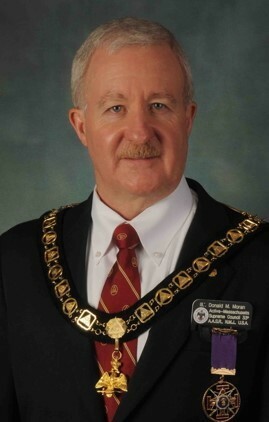 When a man joins the Scottish Rite he is awarded the 32nd Degree Masonic designation. Both Freemasonry and the Scottish Rite are worldwide organizations. Approximately 25% of the Masonic Fraternity will advance to the rank of 32nd Degree Masons. 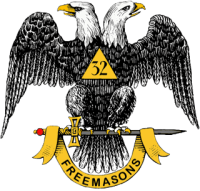 The purpose of 32nd Degree Masonry is to extend the Masonic fraternity and its principles. Freemasons profess a belief in God, and strive to uphold high moral and ethical values through service to family, country and the community. All men of good character, regardless of race, color, or religious affiliation are welcome to join Freemasonry and the Scottish Rite. Although 32nd Degree Masonry has its roots indirectly from medieval Scotland, it is NOT an organization that promotes Scottish traditions or requires a member to have Scottish heritage. While the Masonic organization is made up of Grand Lodges, the Scottish Rite is organized into Supreme Councils throughout the world. Massachusetts members are part of the Supreme Council of the Northern Masonic Jurisdiction of the United States of America (NMJ). There are roughly 120,000 members in the NMJ, which is composed of the states of Maine, New Hampshire, Vermont, Massachusetts, Rhode Island, Connecticut, New York, New Jersey, Pennsylvania, Delaware, Ohio, Indiana, Michigan, Illinois, and Wisconsin. Our Headquarters is located in the Scottish Rite Masonic Museum and Library, in Lexington, Massachusetts. The remaining states and the District of Columbia comprise the Southern Jurisdiction which has its headquarters in Washington, D.C.
Each state within our Supreme Council has a governing body called the Council of Deliberation. While the Supreme Council has paid, full-time leadership, the Council is run by volunteer members at all levels. The Council is made up of Valleys throughout the state. There are 100 Valleys within the NMJ and 8 within Massachusetts. Our Valleys are located in Greenfield, Springfield, Worcester, Lowell, Haverhill, Salem, Boston and Wareham. The members of the Scottish Rite and their families are committed to the service of mankind. The organization supports four major charities. The 32° Masonic Learning Centers for Children provides free treatment for children with dyslexia. At present, there are over 50 treatment centers within our 15 state Jurisdiction. The Scottish Rite Masonic Museum and Van Gordon Library, situated in Lexington, Massachusetts, are Nationally recognized. The Museum's exhibits, which change on a regular basis, focus on the Masonic Fraternity, the Scottish Rite, American History and other interesting aspects of Americana. The Van Gordon Library boast a collection of over 60,000 volumes and is one of the outstanding Masonic Research Libraries in the world. The Abbott Scholarship Program provides educational financial aid to the children, grandchildren and other relatives of Scottish Rite members. Through the Grand Almoner's Fund, we are fulfilling our mission to care for our members. The fund provides financial relief to our Masonic Brothers and their families who have experienced personal tragedy or are recovering from natural disasters. I personally invite all men who support the promotion of ethical and moral values in today's society, and who want to join together in a spirit of fun, family, fellowship and service to join a Masonic Lodge near you and become a part the Massachusetts Masonic Family. By so doing, you will become a better person, enjoy a world-wide social network with your family, and feel the inner satisfaction that can only come from helping others through our public service programs. 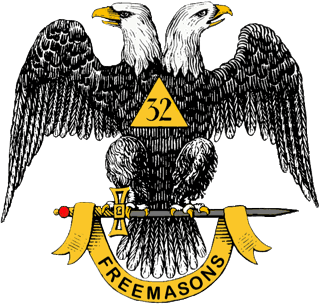 Once you are a member of the Masonic Fraternity, I encourage you to continue your Masonic journey by progressing through the Scottish Rite and becoming a 32nd Degree Mason. For more information, just call 617-426-8288.